Electronic gadgets are something that children are getting more and more into, not something we had growing up, but if we did I’m sure I’d have wanted them too. It’s difficult at times to get one that is right for the age of your child and making sure they are unable to access something you don’t want them too. 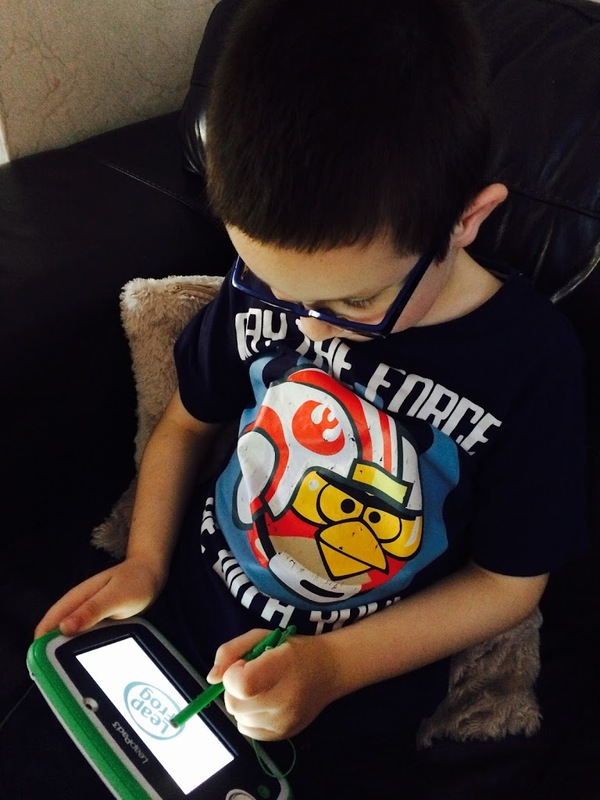 This is where Leapfrog have it master with the LeapPad3 Learning Tablet. 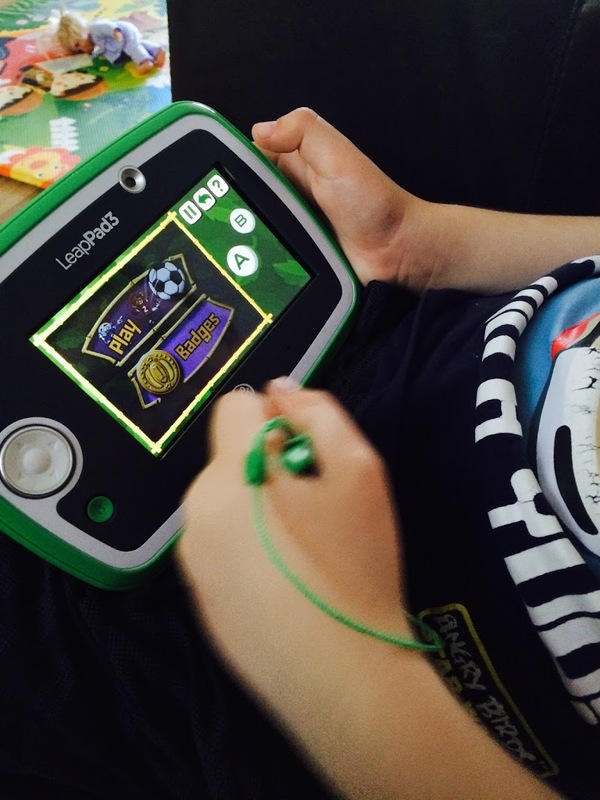 The LeapPad3 Learning tablet is an educational gaming device, which is aimed at children who are between 3 and years old. As with all of Leapfrog products, it’s designed for kids and the rough and tumble that comes with them. The case is shock-absorbing, the screen is also shock-absorbing and had a shatter-proof and water resistant screen. The screen itself is a touch screen and can be used with finger touch or the stylus which comes with the device. The stylus has a soft tip making it ideal for the younger ages. My oldest who has just turned 8 is a big fan of tablets and has been using various LeapPad devices for years, he says this is his favourite one yet. Having the internet means he can use it for investigating topics for his homework. With LeapPad 3 I don’t have to worry about him searching something inappropriately as they use a Child Safe Web search which is powered by Zui. 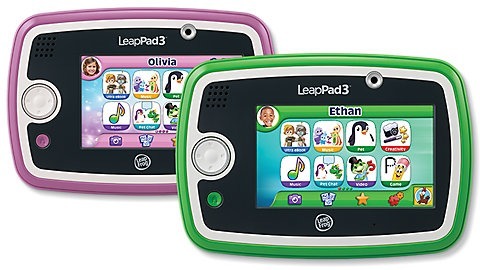 The LeapPad3 is simple and easy to use and very intuitive. There is a home button which allows the users to go back to the main page. There are lots of games you can buy with the cartridges and they are simple to take in and out. And thankfully the LeapPad3 comes with a rechargeable battery, this can be charged via a usb cable or the plug charger which comes with it. I find this excellent and the battery life far exceeded expectations. If you don’t want to hear the games they are playing or tunes they are listening too, my baby girl likes music on it, then you can purchase headphones which fit into the jack socket. If you’re children are like mine and enjoy taking lots of pictures there is a great 2mb camera on the front and rear. And with 4 gb of storage, there is enough to store around 20,000 photos. The Photo Fun app is great for adding hats, items and lots of funny things to your photos. Destined to make you giggle and your little ones, they will have so much fun doing this. With 10 built-in apps and songs there is a lot for your kids to use from the start. There is also a calculator, clock, calendar, etc for them to feel like they are playing like mummy as my oldest likes to do, he sees me adding items into my calendar and likes to add things into his. He also like to play with the calculator. He finds maths very natural, which is great, but then tests to see if he is right with the calculator, kept him busy for hours. 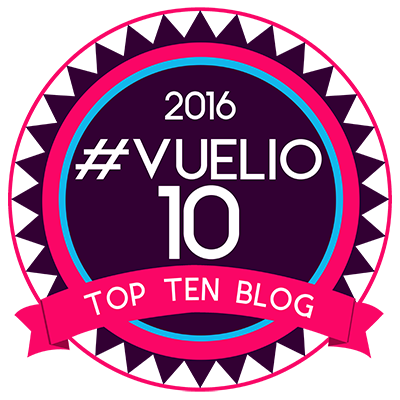 With over 700 games, app, ebooks, videos and music there is something to suit everyone and keep them going for years to come. There are many familiar characters from Disney to Nick Jnr to Sesame Street. The prices aren’t as cheap as in some app stores, but for peace of mind of using a child friendly tablet you have it all here. This really is a device that grows with you child and can be setup for one than one child. There can be many profiles setup. What I love about all LeapFrog products is that you can access your child’s learning path, by plugging in the device to your pc or laptop. It’s great to see how they are getting on and see if there is anything you should challenge them with in terms of maths, science, etc. Learning really is fun with LeapFrog. If you are worried about your child being on Wi-Fi you can disable it and they can play with the apps without going online, this is ideal for younger kids, they don’t need to be going online. But for the older ones like my 8 year old, there is a 4 digit parent code you can set and you can change the settings like app purchases, peer to peer games, etc within this section. With an RRP of £89.99 it is a tad expensive, but not compared to other tablets. It can be used for years to come, here are loads of games, it’s sturdy and most importantly it’s safe. Lucas has played with the LeapPad3 the most and he is loving it. Some of the games we have are a little young for him as my 6 year old plays them, but he is still learning and enjoying them. There is something for all age and skill levels. My newly turned 2 year old loves the songs and can navigate her way to change them. All in all and excellent learning tablet with is safe and will grow as your child grows. 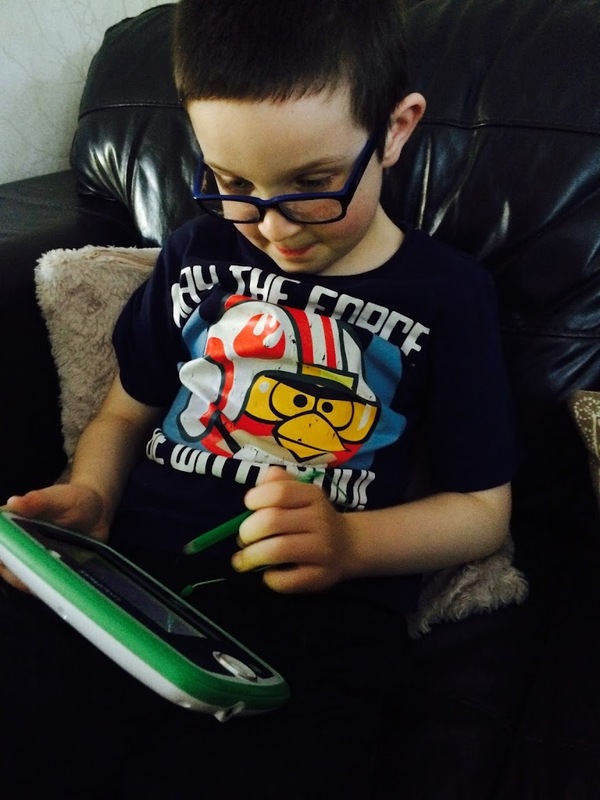 Disclaimer:- We were sent a LeapPad3 Learning tablet for review, but all opinions are my own.